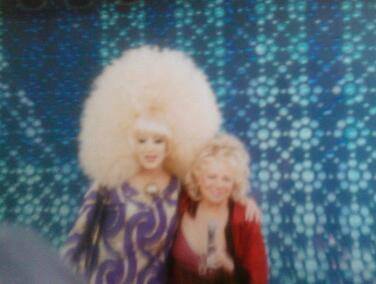 One of the most unusual guests we ever had at Wigstock was The Nanny's mom, Renee Taylor. She's a comic genius and was promoting a play at the time and agreed to pop by and say a few words. I can't recall exactly what she did on stage because Wigstock was often a blur. Another completely out there appearance was by Sukhreet Gabel. Remember her? She was vilified in the press for months after ratting out her mom who gave her a position working for Bess Myerson and then attempted to capitalize on it with a dance tune. She was too insane not to feature.